The perfume seller stopped his little coach to recover his breath and drink a bit of water to quench his thirst due to the unbearable heat, and to rest his exhausted body. 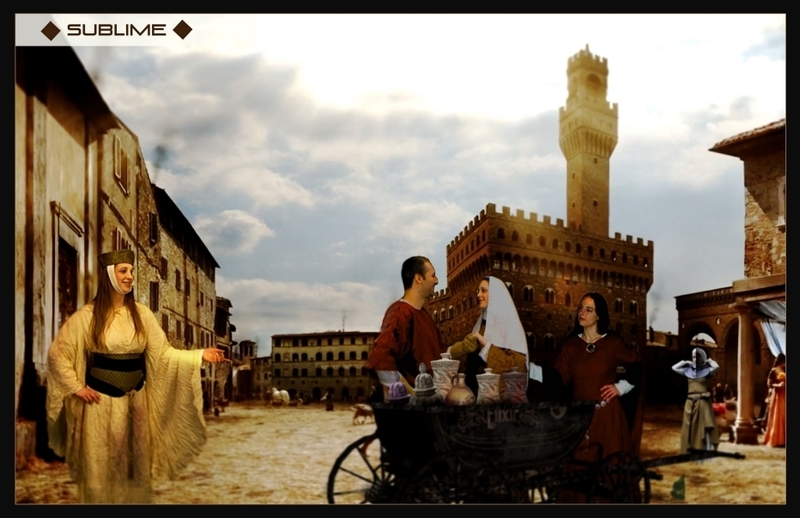 a group of women set aside to look at the contents of his magic vehicle. The coach was a true store of exquisite aromatic mixtures in beautifully colored packages, each is competing with the other. The group of beauties could not resist their eagerness feeling to experiment the perfumes. The seller's hand gently stretched into the nearest bottle. He gently took one of them and the ladies competed to reach it. The fragrance of perfume would flew over the street, and the passers-by felt refreshed, and they got interested. The seller began to tell the story of the first bottle of perfume from this collection, as it had been given to him by one of the dignitaries who knew the art of perfumery. He created a pure combination of scented saffron, sandalwood and vanilla, combined with oud, Turkish rose and patchouli. 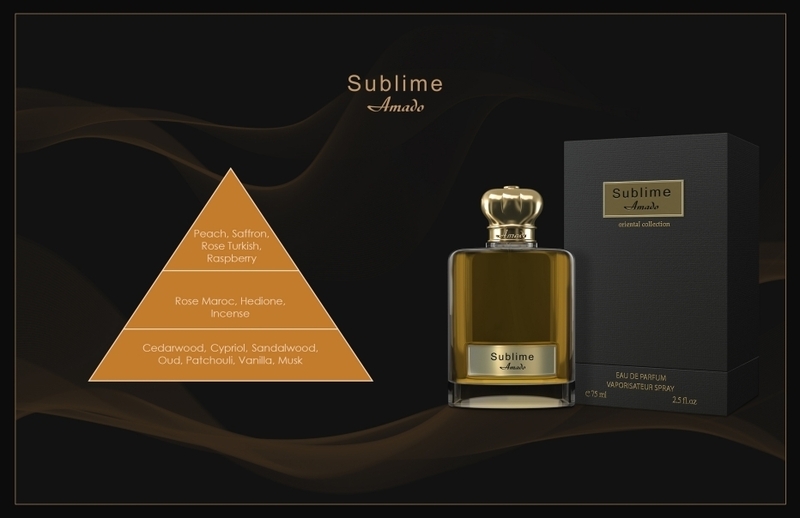 All these flavors were mixed and produced a legendary fragrance called Sublime. This is the aromatic product which is closest to pure spirits and clean hearts. With the jungle breeze flowing from the roses and pure peach fragrance, it invites you to smell it at first sight. It is the product of long experience in perfumery. Authentic sandalwood is one of its essential ingredients, mixed with the aromatic saffron and Turkish rose. The oud and the patchouli are the secret of its eternal charm.